I have earned my living as a philosopher from the age of 32. Since then I have been employed by one of the best institutions in the world at which to do philosophy. But being an Oxford Philosopher is not the be-all and end-all. What is the point of being equipped with the skill needed to ask vital questions such as ‘how should I live?’ without trying one’s best actually to live the answer? From 1996 until 2000 I was appointed by the then Secretary of State for Education, Gillian Shepherd, to be Chair of the National Forum for Values in Education and the Community. The Forum was 150 strong (imagine chairing a committee of 150 members!). Its task was to identify those values that could be said to be ‘common’ to all. In 1994 Dr. Nick Tate, then the CEO of the School Curriculum and Assessment Authority (SCAA), read an article of mine in the Sunday Times. In it I expressed concern about the ‘knee-jerk’ moral relativism of undergraduates, a viewpoint from which it was wrong to criticise anyone else’s morality (‘I wouldn’t have done what Hitler did, but who’s to say he was wrong?’). But, despite the many differences between people, there are values that they share. They may differ on the interpretation of those values, on their ordering and on their implications for action, but they agree that truth, for example, is a quality that matters. This is important because, without agreement, there can be no productive disagreement. Schools cannot but teach values. Our values are implicit in everything we do. 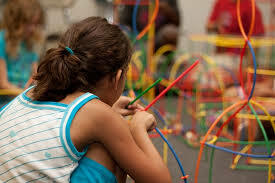 A child learns an interesting lesson, for example, from work that is not marked for weeks, and then only perfunctorily. It is important, therefore, that the values schools teach should be the ones we share. If the Forum could come up with a statement of shared values, we thought, this would provide empirical evidence of the existence of shared values. Naturally the fact that something is valued doesn’t mean it should be valued (David Hume taught us this). But wide agreement on a set of values gives us at least some reason to think that the values are the right ones. The idea was that the values on the statement could be offered to schools, not as the values they must teach, but as a stimulus to a discussion of the values underpinning their own school. It was easy in fact to come up with values the 150 Forum members shared. Much less easy to write them down in such a way that everyone would agree to them! Here is the statement of values we came up with. Over the time I worked with the Qualifications and Curriculum Authority (QCA, the successor body to SCAA), I attended many school-based discussions of the statement of values. They always started with everyone disagreeing with the values set out on the statement. They would then discuss the values they would have chosen. By the time they had their own statement of values, I was always relieved to see that it didn’t look so very different from ours. But who cares? It was their statement. They owned it and, in creating it, they had taken on board the importance of the values in accordance with which they wanted their school to run. I sometimes think that running these sessions was the most important thing I have ever done. Unfortunately, since those days the statement of values has gone underground. 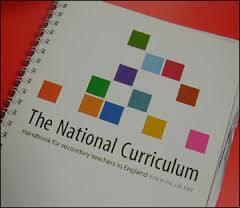 It is still in the National Curriculum, but I wonder how many people read it, never mind bother to discuss it? The work that was done on values culminated, after a change of Government, in the introduction of a new National Curriculum subject: Citizenship. Although I was on the Governmental Advisory Group, chaired by Sir Bernard Crick, that introduced Citizenship my fear was that it could be counter-productive. If a school is a proper community in which relationships are good, pupils respected and respectful, rights acknowledged and responsibilities cheerfully accepted, then there would be no need for an hour’s worth of citizenship classes. If the school is not a proper community then no amount of citizenship classes will do the trick. Here is an article I wrote for the Daily Telegraph about this worry. Here is an article in the Guardian that puts the other side of the argument. Even before the work with the Forum I had been involved with schools. 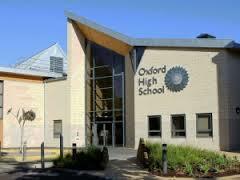 I was appointed a Governor of Oxford High School (GDST) in 1987. This was because I had piloted with them a course aimed at getting more women into public life, specifically into Parliament. As a member of the ‘300 Group’, which argued that half of the approximately 600 MPs would ideally be female, it caused me huge grief that at the time only 19 MPs were women. In 2014 there are 147 female MPs – we’re not there yet! I was a Governor of Oxford High School until, in 2001, I was appointed to the Council of the Girls’ Day School Trust (GDST). 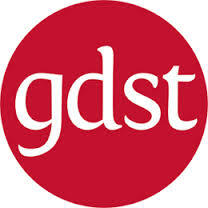 The GDST is the largest educational charity in the UK. It owns 29 schools nationwide, most of which are ‘all-through’ day schools for girls. It was great fun working with the GDST and I was sorry to leave them in 2007. But by then my caring duties were becoming incompatible with any such activity. From 1996-2009 I cared for my parents. At first I helped Mum care for Dad by acting as his Receiver (now known as ‘Deputy’) under the Court of Protection. Then I cared for Mum herself, first from a distance, then in my own home. During the time Mum lived with me I wrote a blog for Saga Magazine Online. The blog was hugely popular. More importantly it helped many other carers. They wrote to me in their hundreds. The recurring theme was that the blog had made them laugh and made them cry. 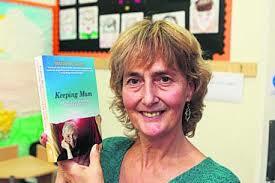 When Mum died in 2009 I turned the blog into my book Keeping Mum: Caring for Someone with Dementia. I have also campaigned for various charities. This has resulted in my becoming a National Ambassador for CarersUK and for Alzheimer’s Research UK, and a Carers’ Champion for Age UK Oxfordshire. On behalf of these charities I have turned on Christmas lights, opened fetes, attended focus groups, testified to government panels, spoken at the Houses of Commons and Lords, and spoken at party conferences. It’s been fun for me but I try never to forget that the carers for whom I am doing it are not having fun at all. They deserve all the help anyone can give them in their work. They are doing the most important thing any of us can do: honouring another human being. Around the edges of my day job and all the stuff above I have served on several Governmental Advisory Groups (other than the one for Citizenship and Democracy in Schools). I have advised the Cabinet Office, the Wellcome Trust, the Engineering and Physical Sciences Research Council (EPSRC), the Institute of Directors and The King’s Fund on ethics and values. I was a founding member of the Royal Society of Arts‘ Ethics in the Workplace group, and a member of the ‘Court’ of Brookes’ University. I have also been Tawney Owl for two Brownie Packs and two Rainbow units. That was fun! Actually it has all been fun. But as I near retirement (not for 6 years yet!) I intend to take Plato’s advice. Plato believed that it is as we get older that philosophy becomes more important to us. We want to slow down and reflect on our experience and on what we have learned. For the last two years I have been more of an academic philosopher than I have ever been before. I have written two books (Bioethics: An Introduction and Critical Reasoning: A Romp Through the Foothills of Logic). I should like to make more podcasts and write more books. That is also very apposite to my situation too Marianne, and presumably explains my new interest in philosophy (although I have had books to read for many years) – and that was without even knowing what Plato had said before I read it here! I would only add that I want to reflect but also to learn even more, having spent nearly 45 years dong one thing, both academically and professionally. Important to keep the brain ticking. Thank heaven for online courses and sites like this. I doubt there is a better time to retire than now – all these MOOCS (massive open online courses), TED talks, free podcasts on iTunesU and goodness knows what else. It is Fantastic! I have a few years to go yet, but can’t wait (though doubt I’ll give up philosophy). Hi Marianne, I am hearing impaired and require subtitles to follow the spoken word on videos. I am very interested in listening to your Philosphy for beginners podcasts but as they are without subtitles I can’t follow them. Do you know if the subtitles or transcripts are available somewhere on the web? I’ve searched a bit and haven’t come up with anything positive so far…. Many thanks in advance. I am afraid I do not have transcripts for Philosophy for Beginners. I do for Critical Reasoning for Beginners,and for the Introduction to Ethics. I am very sorry. I should very much like to get subtitles on my podcasts, but have so far been unable to raise the money to get it done. I am glad you have asked – I can make use of your request to try again! But I am sorry not to be able to help you now.